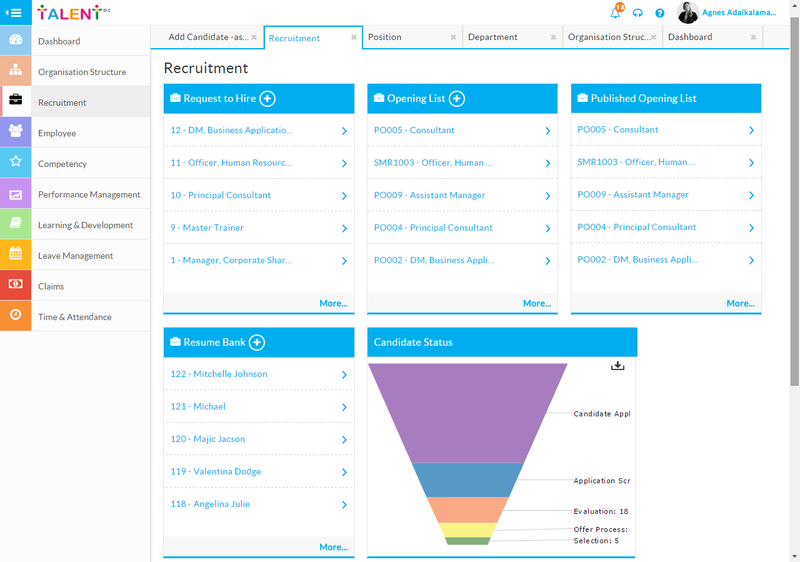 With the workflow engine, HR team can configure the appraisal process as per the organization need. And they can define the roles and approvals required in the process flow. Also HR can design the appraisal form with various components like Goal, Competency, Career Planning etc with weightage for each individual component. With TalentOz Performance, link individual employee’s goal to organizational goals which gives a great vision to them how relevance and importance their work. The managers and business leaders can easily manage and track the progress of goals and contribution from various parties for achievement. Create career and professional development plans as part of your employee performance management process whenever you identify a learning need. Tie development plans and activities directly to competencies, for greater context, or set them independently to support career aspirations and/or goal performance. Executives, Managers and HR professionals benefit from instant access to performance management metrics delivered in easy to understand reports. 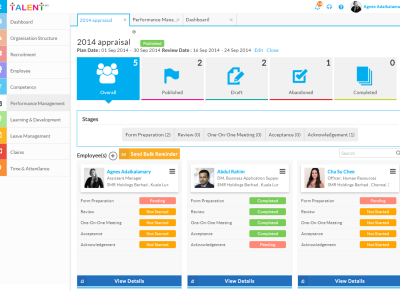 With 1 touch, they can track the progress of appraisal process across organization/department. And remind employees/managers regarding pending appraisal through instant bulk reminders feature.